Engaged Ethics is the name we give to our “roll-up-the-sleeves and get-involved” ethical programmes in St Lucia and Ghana. Sustained investments of know-how, sweat and passion as well as dependable funding really does make a difference to cocoa-growing communities. St. Lucia has real poverty in the agricultural sector; our main effort therefore, is to lead a renaissance of cocoa-growing amongst our neighbours. This renaissance will regenerate cocoa-growing in St. Lucia and we will create a sustainable market for chocolate made from these beans. Local cocoa-growers will once again have a secure income and feel confident enough to breathe new life into their farms through investment. The cocoa-growing communities of St. Lucia need more than just our money to make this project enduring and self-sustaining. We have sent a top team to St. Lucia to transfer knowledge and provide practical assistance; our approach is always to see for ourselves what the true situation is, and to carry out real research, rather than leaping onto a fashionable bandwagon simply to gain marketing advantage or a ‘tick in the box’ of social responsibility. Read on to learn more about our specific activity. The HCCAPEE programme has been developed by our Rabot Estate Director, Phil Buckley, and his team, following their extensive research and experience of fine cocoa-growing, and taking into account 3 years of on-the-ground learning of the real factors affecting cocoa farmers in their day to day existence. All cocoa farmers in St Lucia are eligible to join this free programme, and membership is intended for individual cocoa-growing farmers only. In this way, the cocoa farmer reaps the full benefit of his labour, bypassing middle men who often add no value whatsoever to the sale process, and exploit the smallest, and poorest growers. On joining the HCCAPEE, members assume a special responsibility to the programme, as does Hotel Chocolat, by promising to uphold and abide by the programme’s principles. 1. We guarantee to purchase all of every member’s cocoa output. This takes away all the risk for the cocoa farmer because he knows that he will have a guaranteed sale at harvest time. Safe in this knowledge, the farmer can invest in land management know-how, extend his coverage and therefore increase his yield, move towards organic farming principles and feel secure about his livelihood. This can only be good news for the future of the previously declining St Lucia cocoa industry. 2. We guarantee a fixed price for cocoa beans which is always above the world price of cocoa. This is right and fitting for the fine cocoa which is produced in St Lucia, and is a very different scenario from the situation where middle men might be tempted to exploit the lack of knowledge of small farmers and offer them a ‘take it or leave it’ unfair price, knowing that their only option is to ‘take it’. 3. All beans are weighed using a Bureau of Standards Certified Weighing Scale, with full documentation of transactions. The farmers know that they are being treated equally and professionally, and this in turn, encourages them to take a pride in their own standards. 4. All money is paid to farmers within 7 days of purchase. No more waiting around for several months while agents try to obtain an onward sale. And no return of sacks of unsold cocoa beans either. These figures are Caribbean dollars; they equate to $0.75/kg wet and $1.88/kg dry, more than 17% higher than the current Fair Trade price of $1.60/kg. 6. We have advised farmers that we prefer to buy their beans ‘wet’, which means straight from the pod. The advantage to the cocoa farmer of selling his beans ‘wet’ is that he does not have to ferment and dry the beans himself. To ferment and dry the beans can take 2-3 weeks and requires constant labour attention, and therefore significant additional cost for the smallholder. 1 kg of wet beans brings the farmer $0.75. If he fermented and dried these beans, the weight would reduce by 60% as the moisture content was removed, and the equivalent dry weight would be 0.4kg. For this, the farmer would receive $0.752. Our programme cuts down his production costs but still brings in the same money, and sooner. From Hotel Chocolat’s perspective, we are more than happy to take on the task of fermenting and drying the beans. These 2 parts of the cocoa process require considerable skill and expertise, and can have an enormous impact on the final flavour of single estate and single origin chocolate. By controlling the quality at this stage, we can ensure that our chocolate will always maintain its high standard consistently, which in turn guarantees the farmers that their scheme will have the longevity and security that they so need. It is also incredibly exciting for us to be able to carry out controlled research in the area of fermentation and drying. This is something that is done hardly anywhere in the world, and the more we learn about this, the more we will be able to finesse the quality of beans and offer the farmers a higher price for their increasingly precious crops. 7. If cocoa farmers do wish to carry out their own fermenting and drying, we will inspect their facilities and carry out a ‘cut-test’ (which looks at the inside of the bean to see how well it has been dried) to make sure that the quality is of the right standard. One of the arguments that could be levelled against the idea of us buying wet beans is that this de-skills the farmer and therefore potentially deprives him of income. As we have shown above, this scheme does not adversely affect the farmer’s income at all. And through our hands-on approach, by really being there to see for ourselves what happens, we have learnt about the real situation regarding the farmers’ skills in fermenting and drying. The truth is that this is a rare skill indeed. As our Rabot team have visited local farms, they have seen beans fermenting in plastic bags, a breeding ground for bacteria. They have seen beans drying by the side of the road, exposed to the pollutants of local traffic and passing animals. And they have watched farmers wave away the problem of the drying beans being caught out in the frequent rainfalls. Although the sun dries them again, the risk of mould developing later is dramatically increased. 8. We have established a Propagation Programme to supply members with seedlings of the very best cocoa-types from the gene bank at Rabot Estate. The cocoa-seedlings will be made available to programme members at a subsided price of EC2.0 per plant. The first 3 months of a seedling’s life are the most vulnerable; this is when they need full care and attention with proper watering and shade, to ensure that they survive and can be replanted in the open cocoa plantations. For many small farmers, the risk and the labour-intensiveness of this process is unfeasible. By participating in the HCCAPEE programme, farmers can extend their cocoa coverage in a risk-free, quality-guaranteed fashion. 9. After consultation with our members, we are establishing collection points throughout St. Lucia to enable the transfer of cocoa beans to the Rabot Estate for fermenting and drying. We have learnt that transport of beans is a significant obstacle for many of the poorest cocoa farmers. They simply cannot afford to pay the cost of transferring their beans to the ports for export. This in turn leaves them at the mercy of the agents who offer to take the beans off their hands, with, of course, an insultingly low price offer. Through our collection scheme, we are ensuring that every farmer, regardless of the size of his crop or his ability to travel, can get an honest price for his work. 10. Again, after consultation with members, we have decided to appoint a HCCAPEE Local Officer for each collection area, from within the membership ranks. This is to ensure open and easy communication and co-ordination of all the programme activities. The Local Officers will be the ambassadors of the programme and will make sure that there is full transparency to the farmers of how the scheme works. They will also be able to report back to Phil and the team of any concerns or problems in the local areas, so that these can be investigated and resolved straight away. 11. 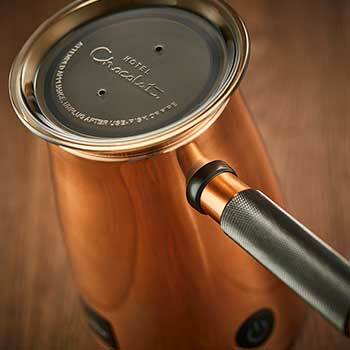 Hotel Chocolat provides a free Cocoa Production Technology consultation service to all members who request it. We expect that as this scheme develops, we will find an increasing number of farmers wishing to develop and extend their farms and their skills in land management. Rabot Estate is recognised as a Centre of Excellence, and we are keen to let them take advantage of our own learning and our ability to draw on our wider international knowledge and relationships, to support the continuous improvement of the St Lucian cocoa-growing and agricultural sectors. 1. Members can only participate in the programme if they grow their own cocoa beans. We do not deal with agents or middle men. 2. We require members to guarantee to sell us all of their beans. We can only sustain the scheme if we know that we will have guaranteed crops coming in, and we do not want to see our members being enticed away by a slightly higher price in one season, and then coming back to us when that enticement is swiftly withdrawn once they’ve signed on the dotted line. 3. Members are not allowed to sub-contract or act for third parties, for the reasons explained above. 4. When members buy our subsidised cocoa seedlings, we ask them to sell the harvest from those trees to us exclusively for the first 5 years of their yield. This is so that we can carry out our controlled research to facilitate continuous improvement in cocoa production methods as well as providing a suitable pay-back period to reflect the subsidised seedlings and technical support we have invested..5. We have asked members to agree to allow our Estate Director or his team to carry out periodic inspections of their farms. This means that we can not only advise on best practice, but also that we can ensure that there is absolutely no unethical practice going on. Another huge benefit for our Hotel Chocolat customers whose concern about conditions on cocoa estates is close to our hearts. 1. Hotel Chocolat and HCCAPEE programme members have a responsibility to manage land for both current and future generations. We pledge to practise and advocate management that will maintain the long-term capacity of the land. 2. We agree that Society must respect landowners' rights and correspondingly, members have a land stewardship responsibility to Society. We have included this clause to bring about an element of social responsibility and mutual respect within the St Lucian community. We feel a responsibility to lead cultural change for the benefit of the people we are working with. 3. All parties agree to practise and advocate land management in accordance with the programme’s objectives and professional standards, and Hotel Chocolat will provide advice to members of the consequences of deviating from those standards. It is important to us that members understand that this is a professional agreement with standards that must be maintained for the long-term good of the programme. It is not simply a casual financial handout to be taken advantage of while the going is good. 4. We have included a clause which states that sound science is the foundation of Cocoa Production Technology. To many of us, the technologically advanced consumers of the world, this might seem like stating the obvious. However, in a small, less developed community, the power of myths, handed down stories and rumours is still strong. As our members reap the benefits of the scheme, so we expect them to understand the value of scientifically proven techniques, and to discontinue inefficient or potentially harmful practices. 5. Cocoa is not the only crop on St Lucia, and our commitment to the island extends to the whole of the agricultural sector. We have therefore pledged, with our members, to use our knowledge and skills to help formulate sound agricultural policies and laws; to challenge and correct untrue statements about the agricultural industry and to foster dialogue among agriculturists, other professionals, landowners, and the public regarding agricultural policies. 6. Finally, we have included a number of clauses for ourselves and our members which relate to our professional behaviour. We expect that communication will be open and honest, and that conflicts of interest will be resolved equitably. We require all our membership to maintain civil and dignified behaviour, respecting the needs, viewpoints and contributions of others. Our programme includes a responsibility for continuous improvement, so that both Hotel Chocolat and its members focus all the time on improving our methods, knowledge and skills. Again, this is something that as a company, we take for granted, but by being explicit in our contract, we gain the farmers’ buy-in to something which is culturally quite different from what they are used to.